Nano, Ratan Tata’s dream project, has found a new address. The electric variant of the car would be made in Singanallur, a small town 50 km from Coimbatore, by Jayem Automotives. The company’s Managing Director J Anand refused to speak on the Nano project owing to a non-disclosure agreement. 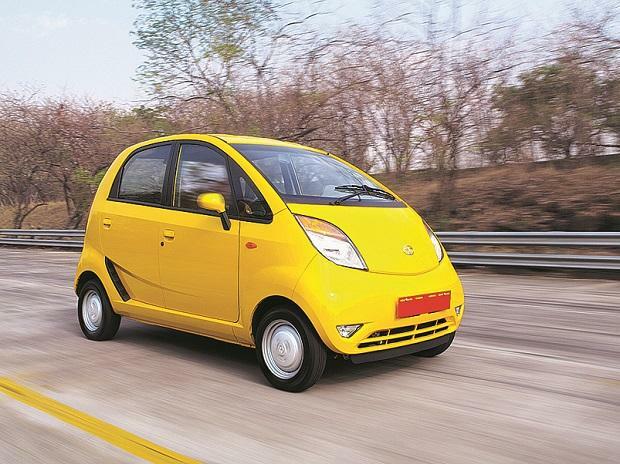 For the Tata Nano, the electric avatar Neo is being seen as the first step towards phasing out of the Nano. Tata Motors will supply the shells and Jayem will add the powertrain and electric motor for the Neo. Sources said the first 400 Neos were being made for Ola and would be handed over to the company shortly. “The Neo is powered by an electric drive system developed and supplied by Electra EV, a technology company that develops and produces electric drive systems. The first batch of cars will be supplied shortly,” said Anand. The 48-volt Neo will be assembled and marketed by Jayem Automotives and is designed to run 150 km with air-conditioning on a single full charge. He had said in an earlier interview that the company has been focusing only on a small volume of cars, including race cars. The low-profile Coimbatore-based component maker had caught the attention of Ratan Tata, who has invested in Jayem. The company counts global and domestic top original equipment manufacturers such as Tata, Jaguar Land Rover, Ford, Renault Nissan, Hyundai, Hero, Bharat Benz, Bosch, TAFE, MRF, Harley Davidson, TVS, Volvo as its clients. Jayem is a research and development company involved in design, development, testing and manufacturing of a wide range of automotive components, systems and prototypes. Anand, who has won Formula-3 events four times on a Chennai track, is the third-generation entrepreneur spearheading the company, besides running J A Motorsport, a race-car manufacturing facility. He is also the cousin of India's first Formula-1 racer Narain Karthikeyan. Anand quit racing in 1996 and focused on his family engineering business, Jayem Automotives. In 2012, he collaborated with Italian chassis-maker Dallara Automobili to design and develop race cars. He has also built track day cars such as the Tata Indica Silhouette, Super Nano and Inde. Jayem’s legacy started with D Balasundaram, who completed an engineering degree from Sheffield University, England. He developed India’s first indigenous electric motor in 1939. This became the foundation of Textool Company Ltd, one of the first fully indigenous textile machinery manufacturing company, in 1946. In 1969, All Tools Private Ltd branched out from Textool, under his son B Jayachandran. It boasts of several firsts in manufacturing automobile engines such as the first indigenous diesel engine for passenger cars. The evolution led to the launch of Jayem Automotives Ltd in 2000. Anand followed the family’s legacy and developed a high-performance petrol engine during his college days. Passionate about cars, he started racing from 1987. He was part of the MRF Team from 1990-96. He started J A Motorsport to drive his passion further. While Anand refused to shares any numbers, documents from the Registrar of Companies (ROC) show Jayem Auto had posted a turnover of Rs 72.65 crore during 2015-16 and its net worth was around Rs 31.70 crore. The company posted profit after tax of Rs 2.72 crore during 2014-15, a decline from Rs 5.36 crore in 2013-14 and Rs 4.80 crore in 2012-13. Profit after tax for 2015-16 was unavailable. ROC documents show Ratan Tata has personally invested around Rs 10 crore in Jayem, which was later questioned by Cyrus Mistry, the ousted chairman of Tata Sons. Jayem has a 50-50 venture with Tata Motors. It is experienced in making after-market diesel overhead engines for major brands. In 1999, it entered into an agreement with Mahindra & Mahindra to develop vehicles, engines and suspension systems. Jayem has worked with Hindustan Motors on various vehicle developments. In 2005, the Coimbatore-based company severed ties with M&M and it partnered with Tata Motors for various vehicle development programmes. Jeyam has played a crucial role development various automobiles, including India's first hot hatch Bolt Sport, which can go from 0-100kph in 10 seconds. In March 2017, Tata Motors announced the launch of JT Special Vehicles Pvt Ltd, a 50:50 joint venture with Jayem Automotives. JT Special Vehicles will develop a range of performance vehicles at a dedicated line in Coimbatore.